No matter how sophisticated the attack techniques become, one must not forget that when the ultimate goal is to obtain the secret message, coercion or social engineering are often the most effective attack techniques. These attacks are based on using physical or psychological threats, robbery, bribery, embezzlement, etc. The attacks are mostly directed to human links of the data security chain. Social Networks have become a launching pad for these kind of attacks. In a typical soft attack such as the so-called spear-phishing, e-mail addresses and information about the victims social circle is harvested from social networks and then used to send targeted e-mail with malware that cause to reveal secret information for access to secured systems. Assuming, as Kerchoff’s principle recommends, that the algorithm used for encryption and the general context of the message are known to the cryptanalyst, the brute-force attack involves the determination of the specific key being used to encrypt a particular text. When successful, the attacker will also be able to decipher all future messages until the keys are changed. One way to determine the key entails exhaustive search of the key-space (defined as the set of all possible valid keys for the particular crypto-system). Brute force is a passive, off-line attack in which the attacker Eve passively eavesdrops the communication channel and records cipher text exchanges for further analysis, without interacting with either Alice or Bob. To estimate the time that a successful brute-force attack will take we need to know the size of the key-space and the speed at which each key can be tested. If is the number of valid keys and we can test keys per second, it will take, on average seconds to find the proper key by brute-force. standard implementation of DES, can be obtained by brute-force using computer hardware and software available since the late 1990’s. Indeed, to counter this possibility, most contemporary implementations of DES use a derivative known as Triple-DES (or 3-DES) which uses three different 56-bit keys instead of one. The effective key length for the combined 3-DES key is a more secure 168 bits. Brute force analysis have been used in combination with other attacks as was the case for the deciphering of the Enigma. The famous bombes were an example of the brute-force approach working in combination with a mathematical method that provided an important reduction of the key-space. While the FBI was accused to set a backdoor to OpenBSD, the NSA clears the record on DES. There are many stories about sneaking sophisticated chunks of code that make perfectly good encryption system to leak information. Something like this is extremely difficult to do without nobody noticing it and I think that it must be considered as a lot of unnecessary trouble for the guys that rather will nicely ask for the keys to your front door. GSM (Global System for Mobile communications) is an open, digital cellular technology used for voice and data services. GSM supports voice calls and data transfer as well as the transmission of SMS. It operates in the 900MHz and 1.8GHz bands in Europe and the 1.9GHz and 850MHz bands in the US. Australia, Canada and many South American countries use the 850MHz band for GSM and 3G. There are an estimated 4 billion users in more than 218 countries and its encryption scheme is irreversible broken by now. At the 26th Chaos Communication Congress Nohl and Paget presented their plan to work out a code book for the A5/1 cipher used by GSM. Karsten Hohl, has recently announce that the full GSM codebook had been produced and the result is a 2TB file that can be used to decrypt and hear the audio in a matter of hours. This represents a turning point, because the big expense and time spent on the creation of the tables does not need to be repeated. The tables are available to hackers that need only to sniff the GSM traffic and spend only a few hours of searching through the tables to be able to hear the conversation. The GSM spec includes a stronger cipher, A5/3, but both, the phone and the base station have to be able to handle it, otherwise the exchange will reverse back to the weaker cipher. Carriers are very slow to make the necessary changes and A5/3 does not seem to have a very long life anyways. 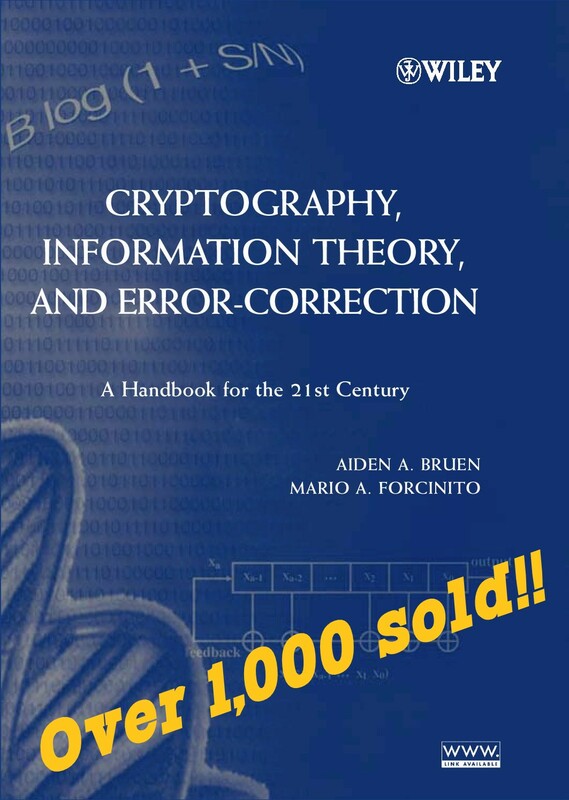 I have a few new reviews of papers on cryptography in my updated page. For those interested in the security of NMAC and HMAC or affiliation hiding key exchanges, I recommend reading the reviews. They include links to relevant papers. This Excellent article in the WSJ described the recently broken Patterson’s Cipher. Dr. Smithline from the the Center for Communications Research in Princeton, N.J., got the cipher from a neighbour working on a school project about Thomas Jefferson. Make sure to check the interactive tab on the article for a very well done graphical description of the cipher.